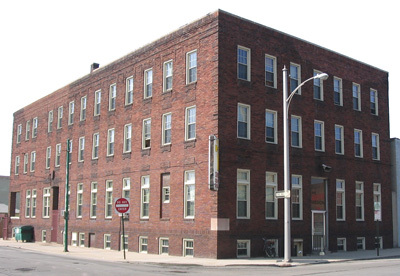 If you would like to drop off a donation, there are 15-minute parking spots in front of our building on Wayne Street. If you have a large amount of items to drop off, you may pull in to an unloading area behind our building on Central Avenue. For extended visits, there is a parking lot directly across the street from the front of our building. The best time to drop off donations is weekdays from 9 AM - 4 PM. If another time works better for you, please call first so we know to expect your visit. We offer tours of our facility to interested groups or individuals; please contact us to schedule a visit. Our staff is also available to make a presentation at your event. We look forward to sharing with you! 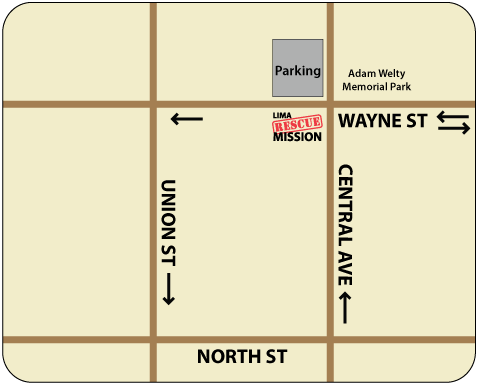 We are located at the corner of Central Avenue and Wayne Street, Downtown Lima.